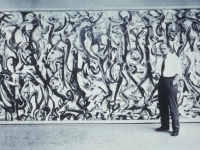 Jackson Pollock’s most ambitious painting, Mural (1943), is the focus of an exhibition curated by David Anfam, that I have organized for the University of Iowa Museum of Art, Jackson Pollock’s Mural: Energy Made Visible. 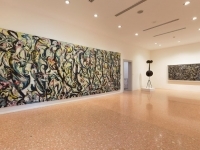 The exhibition will tour Europe opening in April 2015 at the Peggy Guggenheim Collection, Venice (April 25-November 16, 2015), for the Venice Biennale, and travel to the Deutsche Bank Kunsthalle, Berlin, (November 25, 2015 – April 10, 2016), and to the Museo Picasso, Malaga, Spain (April 20 – September 11, 2016). 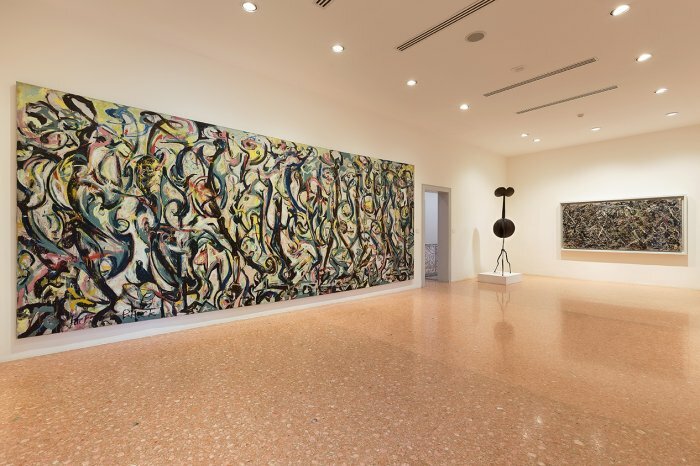 The exhibition focuses on the painting as a watershed moment in Pollock’s career leading to his drip paintings, and as a catalytic painting in the development of Abstract Expressionism. 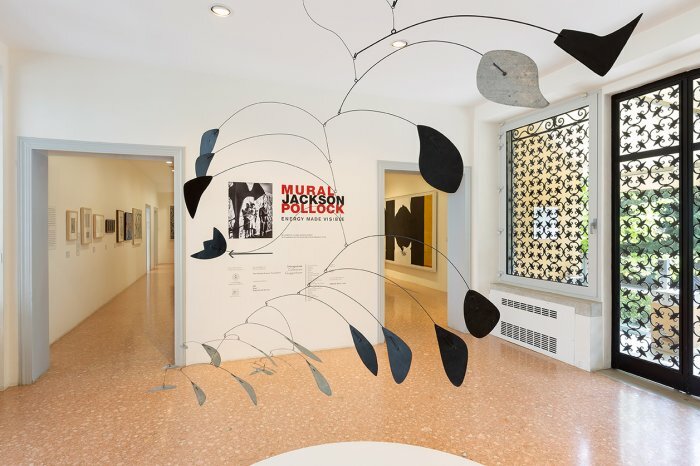 Anfam positions Mural as the seminal abstract painting of the second half of the twentieth century as Picasso’s Demoiselles d’Avignon was to the first half of the century. 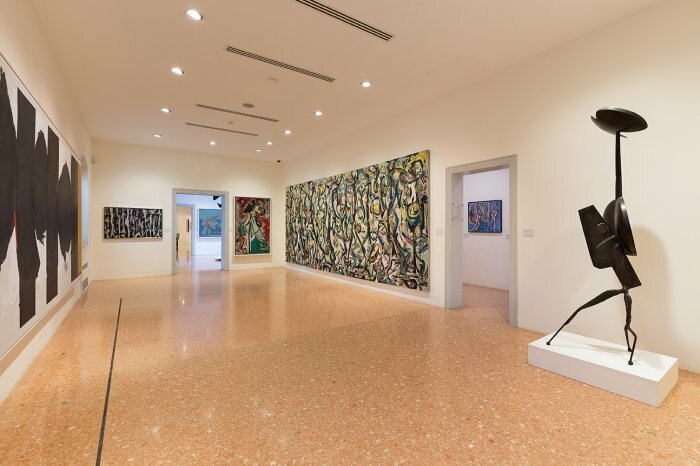 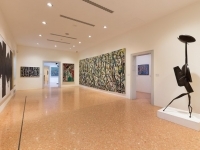 The exhibition consists of approximately 20 works of art with Mural as the centerpiece and a group of related works by Pollock and other Abstract Expressionists who were decidedly influenced by Pollock’s largest painting. 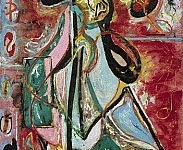 Particularly interesting is the relationship that Anfam draws to “action photography” of the 1940s, including Gjon Mili. 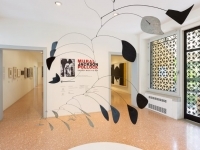 The exhibition stretches to the present to demonstrate the continued influence of Mural on Brice Marden and his series of Muses paintings. 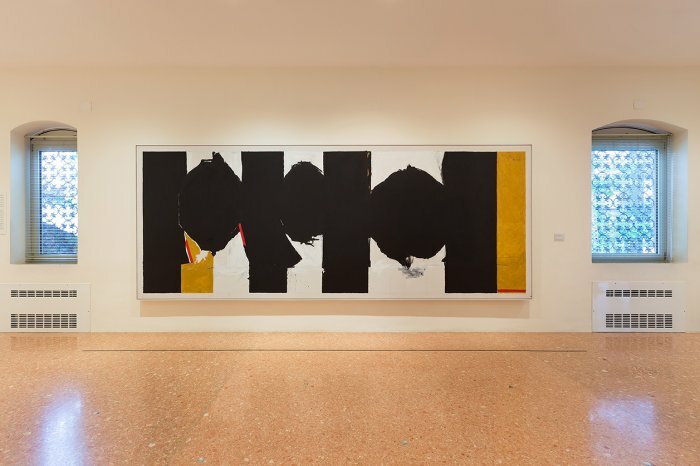 Thames & Hudson is published a catalogue with a comprehensive essay by Dr. Anfam to accompany the show. 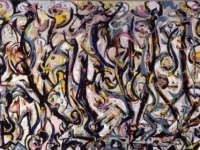 Jackson Pollock’s Mural: Energy Made Visible is the first exhibition to focus on this monumental painting. 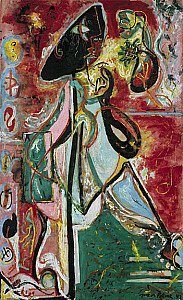 The painting has rarely traveled from Iowa. The Getty Conservation Institute just completed a comprehensive conservation revealing its original brilliant colors. 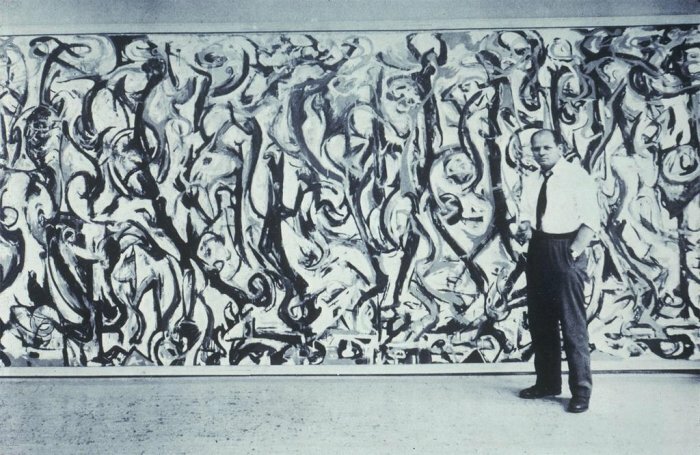 It is unlikely that this painting will ever travel again.